It's a good time to be sneaker-obsessed. Last week, Adidas unveiled a "provocative" new style, and now we have a groundbreaking launch from Puma: the Jamming sneakers. So why are the new shoes so special? As it turns out, it's all in the sole. The brand has created proprietary technology that "adjusts to your foot as you run for adaptive support," per the product description. 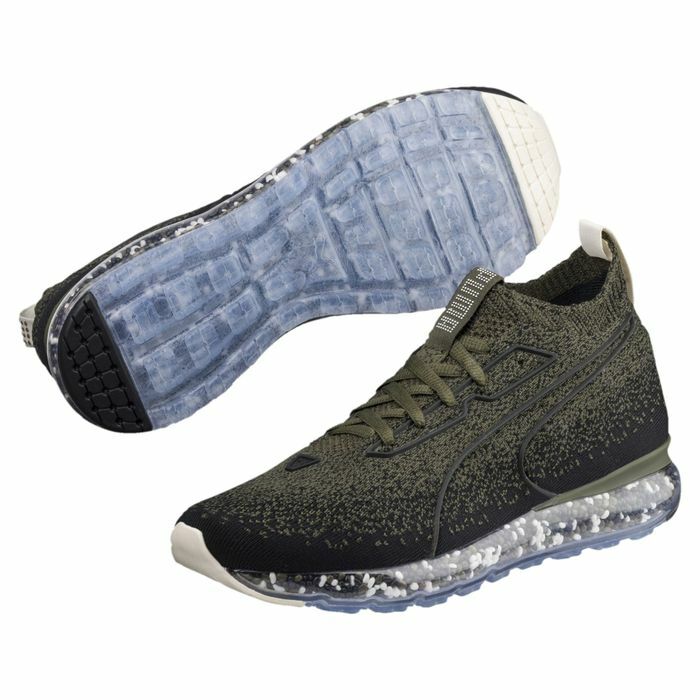 The press release further delves into the science behind the sneakers: "Jamming boasts Puma's brand-new technology: NRGY beads. When the NRGY beads collide in the sole of the shoe, the result is unrivaled comfort and energy return. … The raw NRGY beads in the sole of the shoe move freely inside the clear midsole with every step you take, and jam together as your foot plants. The result is ultimate comfort and cushioning customized for your step." Intrigued? Read on to shop them for yourself, and stay tuned for more color options launching in 2018. Scroll down to shop Puma's new Jamming sneakers. Next up, shop the $90 Madewell flats that are officially celebrity-approved.